What is the Runner’s Prehab Programme? The Runner’s Prehab Programme is an exercise class designed specifically to meet the needs of runners. It has been devised by our lead chartered physiotherapist – Eoin Ó Conaire. Eoin has used his considerable experience to design an exercise class to help prevent and treat the common musculoskeletal injuries sustained by runners. Eoin is also a keen runner for many years. What is the incidence of injury in running? Running is a beautiful and pure form of exercise. It requires little or no specialist equipment other than a pair of trainers and is an accessible activity to most people. However it does have quite a high incidence of injury. In fact the most comprehensive research review on this topic identified that up to 79% of all runners will sustain a lower limb injury at some stage. The knee was to most common site of pain or injury. Other common complaints are Achilles tendon pain or other tendon problems, thigh / ITB pain, hamstring pain, low back and pelvic pain and hip pain. One of the key risk factors for developing these common injuries is building up your running distance too quickly. It is very easy to overdo the training – especially when you are feeling good and the adrenaline, dopamine and serotonin and all the other lovely neurochemicals that are released by our brain give us that runner’s high. As a general rule you shouldn’t increase training volume by more than 10% per week. When you are recovering from an injury, Eoin recommends being even more conservative and not increasing by more than 7% per week. Why is it important to carry out exercises to complement and enhance your running? There is very clear research evidence that supplementing your running training with strength and conditioning exercises helps to reduce the risk of injury and also enhances running performance. One high quality study showed that the addition of strength training reduced overuse injuries by nearly 50%. Other injury prevention strategies such as agility and balance training, plyometrics, and motor control exercises demonstrated benefit too. Interestingly stretching – which remains the mainstay of many runners’ exercise programmes – has very weak evidence in the research. Why attend the Runner’s Prehab Programme? 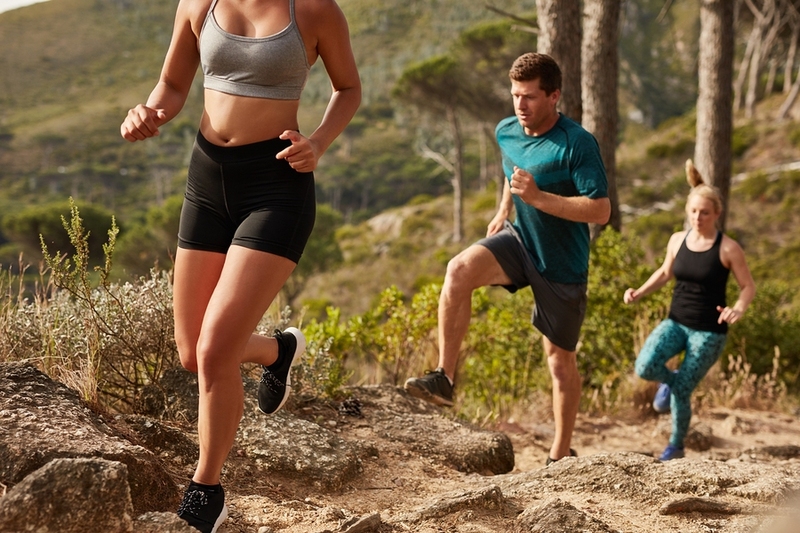 The great news is that you don’t need to wade through all of the research in this area to identify the best exercises to help prevent running injuries and enhance your performance! Eoin has done the hard work for you and distilled all of the evidence into a fun and dynamic exercise programme. The programme includes a mix of strength and motor control exercises, high intensity intervals and plyometric drills with a strong focus on the important muscles for running such as gluteals, hamstrings, hip flexors and calf muscles. Am I suitable to attend the programme? The Runner’s Prehab Programme is suitable for all levels – from beginners training for their first 5K or 10K to experienced and seasoned runners. Eoin assesses all participants prior to attending the class. If you are in acute pain from an injury or musculoskeletal problem, you may not be able to join the class straight away and often will need to work up to it. When? Where? How much? How do I sign up? The Runner’s Prehab Programme is an eight week programme held in our exercise studio at Evidence-Based Therapy Centre in Galway. Sessions last 1 hour and are held every Tuesday evening at 6pm. The entire block of eight 1 hour sessions costs €120. All participants must undergo a screening assessment prior to attending the class. This is to make sure that you are safe to participate in and will benefit from the programme. The assessment costs €50 and Eoin will screen you for any injuries and problems and get you started on some exercises tailored to your needs. To book, you can call the clinic on 091 727777 or get in touch via the contact page.